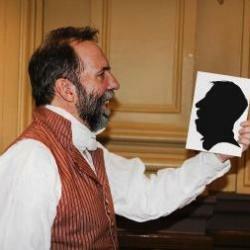 The silhouettes are not drawn, painted or preplanned in any way. 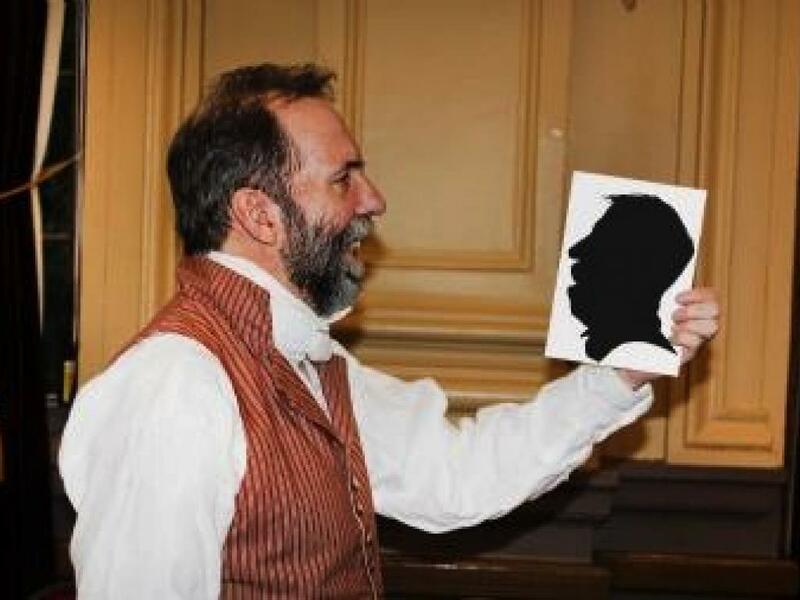 Using just scissors, black paper and an amazing trained eye your silhouette will be snipped away in mere minutes revealing astounding likeness. 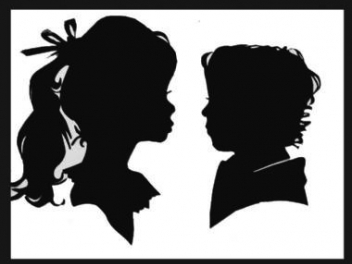 But more than just a party trick these silhouettes add a sophisticated elegance once displayed at home with a story to tell to everyone who sees them. 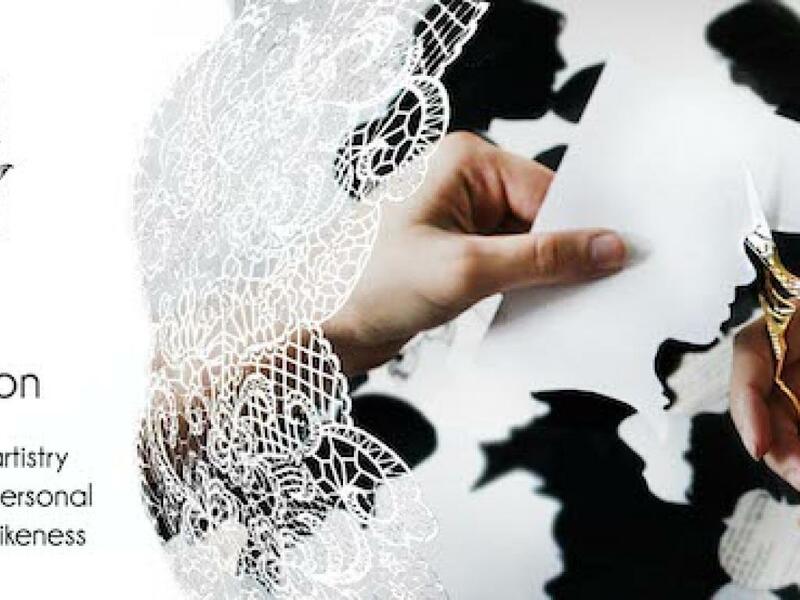 Customise your event by choosing the material, such as classic black, a natural paperbark option, enchanting storybook pages or dainty handmade paper with petals. 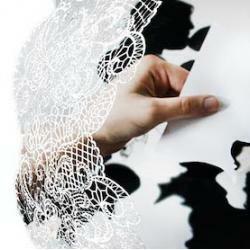 Or be amazed as she cuts a world record size silhouette of just 7mm! Nichole has been delighting guests from Sydney to Canberra within small birthday parties, busy festivals and more elaborate weddings and corporate events. "I've never seen anything like this is my whole life, she was amazing with a rare talent." "I was shocked, I didn't really know what it was till I saw it, absolutely amazing!" "Seeing it in person, I can't believe she can do that. She was very popular the whole day and everyone was very excited about getting their silhouettes cut. She consistently had a crowd around her." "Such an amazing idea and so very talented. Planning to have her again next year."